"Robert Giglio. A massive 160 large format full colour pages. 16 Scenarios, from small unit skirmishes to large scale actions plus campaign options. 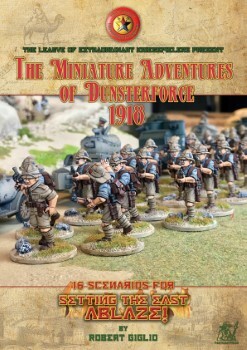 Includes a History of Dunsterforce plus amendments & Clarifications for SETTING THE EAST ABLAZE RULES"